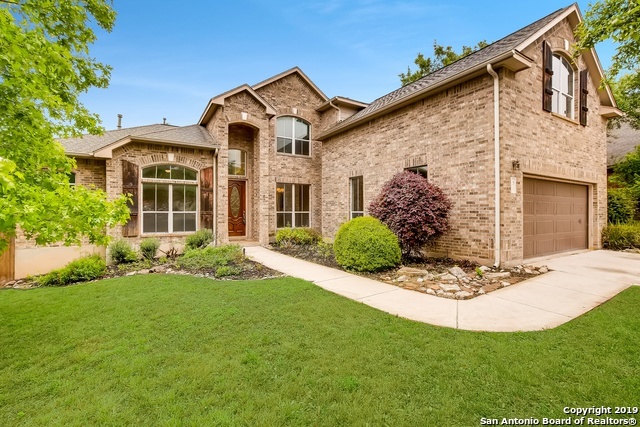 All MESA GRANDE homes currently listed for sale in San Antonio as of 04/22/2019 are shown below. You can change the search criteria at any time by pressing the 'Change Search' button below. "Immaculate open concept 1 1/2 story Highland Home! Original owners with PRIDE of ownership! Huge kitchen with granite, SS appliances, island & breakfast area. Wood floors enhance the dining, family room and formal/office areas. Master down w shopaholic dream closet plus oversized master bath w makeup vanity. 3 add'l bedrooms, bath + 1/2 bath down. Upstairs perfect for game room or could be 5th bedroom with bath & closet! Central vacuum & huge laundry room! Tons of storage! Cvrd patio & 3 c"
"This refined & elegant home is the perfect alliance of contemporary upgrades & tasteful aesthetics. Upon entering, you take in the luxury vinyl plank floors, leading you to vast entertaining possibilities in the massive living. Each of the 5-beds has received new satin soft carpet. The 4-baths boast brand new tile in the showers & tubs. Enjoy Energy efficiency using the Nest system. Towering windows allow the sun to flood in & highlight a stunning island kitchen with gleaming quartz counters. Mo"
"Price reduction! Stunning executive home with VAULTED ceilings, hardwood/tile floors on main level, main-level MASTER suite with HUGE walk-in closet. New lighting, A/C 2016, carpet 2019. Outdoor pergola with BUILT-IN KITCHEN and wrap around SPA. Three SECONDARY bedrooms upstairs with 2 separate bathrooms, one en-suite, perfect for guests. RING doorbell, NEST thermostats and Insteon light controls. $2600 APPLIANCE CREDIT. Close to award winning schools and shopping. Don't miss out on this gem!" 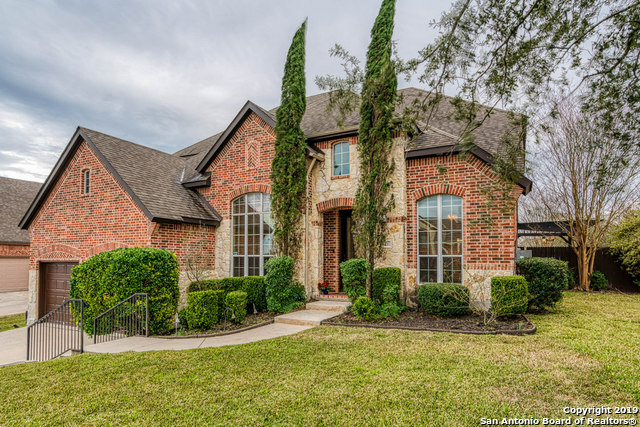 "Ryland home w/ landscaped 0.5 Acre lot (and no rear neighbor) 4 sides Stone/Stucco ext. Recent 95 ft of 4ft walkway leads to backyard patio, Recent 14x37 ft Covered back porch completely tiled and w/Remote controlled Sun Shades,add'l circular patio,recent 34ft of 3.5ft walkway to shed w/ riding mower! !...Driveway increased 2ft on ea.side... Kitchen w/ Granite counters, Island, S/S Built-in oven,newer microwave,glass cook top,dishwasher,Tiled backsplash...Sprinkler System, newer Water Heater,Wate"